Born in Dinslaken on the Lower Rhine, Andrea Kim studied with Michael Gaiser in Düsseldorf, Thomas Brandis in Berlin and Lübeck, and Gerhard Schulz in Vienna. While still a student she won various awards at the Ibolyka Gyarfas Competition (Berlin), the German Music Competition and the “Franz Schubert and Modernism” Competition (Graz). She also held scholarships from the Villa Musica Foundation (Rhineland-Palatinate) and the PE Music Students Grants (Mannheim). The primary focus of her artistic activities has long fallen on chamber music. As the founder and artistic director of the Amici Ensemble (Frankfurt), she organises her own festivals and concert series. Recently she has increasingly given musico-literary recitals with actors such as Udo Wachtveitl and Max von Pufendorf. She also founded the Heinrich Heine Trio with Martin von der Nahmer (viola) and Stefan Heinemeyer (cello), with which she opened the Wiesbaden hr2 Festival in 2017, and formed the Paganini Duo with guitarist Peter Ernst. Her other chamber partners include Sabine Meyer, Gabriel Adorján, Julian Steckel and Pascal Devoyon. She has performed as a soloist inter alia with the Frankfurt RSO under Kristjan Järvi at the Schleswig-Holstein Festival (2006 and 2010). Her chamber recitals have taken her to the Brahms Festival (Lübeck), the Sylt Chamber Music Festival, the Daejeon Festival (South Korea) and the Festival de Música de los Siete Lagos (Argentina). She has also made guest appearances in major concert halls in Chile, Peru, Argentinia and Asia. 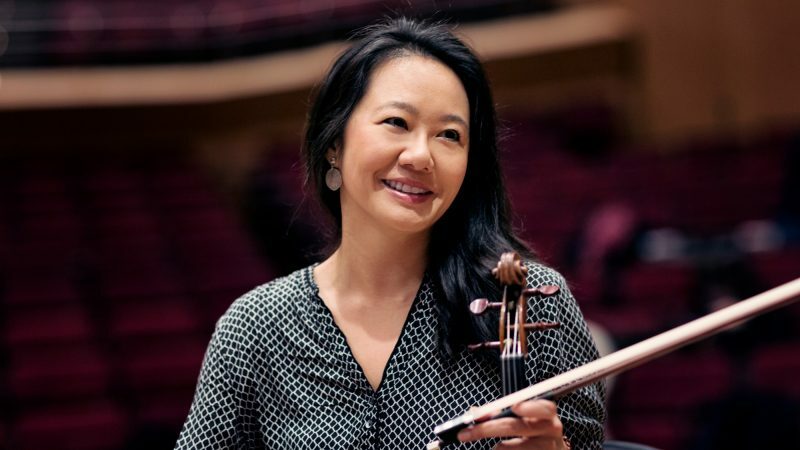 Since gathering orchestral experience in the Gustav Mahler Youth Orchestra, she has functioned as guest concertmistress of the German Radio Philharmonic (Saarbrücken-Kaiserslautern), the West German SO and the Dresden Philharmonic and headed the first violins in the Frankfurt RSO (2008-16). She has been a member of the Bavarian Radio Symphony Orchestra since 2017. Get to know our musicians better! In this video, Andrea Kim (violin) and Jehye Lee (violin) talk about their homeland in Korea.